I really wanted to like this one. I truly did. But I’m afraid this week’s pie-venture left me feeling a bit … meh. Preheat the oven to 350 degrees F. Pat the crust into a 9 in pie plate. Bake it for 10 minutes, then let it cool completely. Leave the oven on. 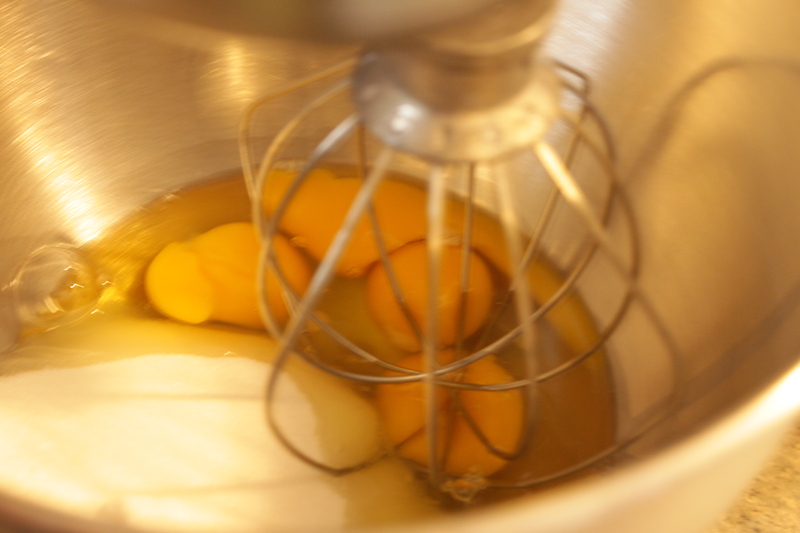 In a large bowl, whisk the eggs with the granulated sugar until frothy. Whisk in the sour cream, gingers, and salt until they are blended. Slowly drizzle in the carrot juice, whisking constantly, until it is fully incorporated. Put the pie crust on a baking sheet. Pour the filling into the crust and bake it for 25 – 30 minutes, until the filling has just set and is slightly wobbly in the center. Remove the pie to a wire rack to cool completely, at least 1 hour. In a stand mixer, with a hand mixer, or by hand with a whisk, whip the cream, powdered sugar and ginger together unill soft peaks form. 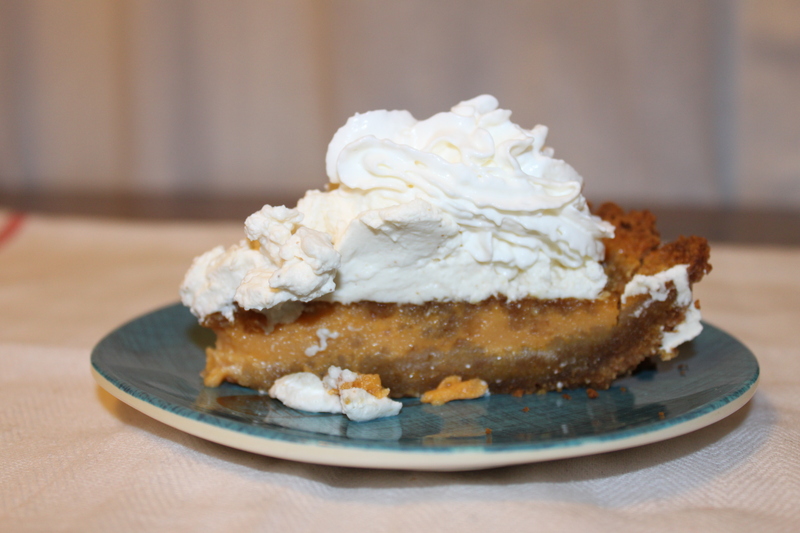 Pile the whipped cream on top of the cooled pie or use a piping bag for a decorative design. Serve the pie immediately. This pie can be made ahead, without the tipping, and refrigerated for up to 1 week covered in plastiv wrap. Add the topping just before serving. 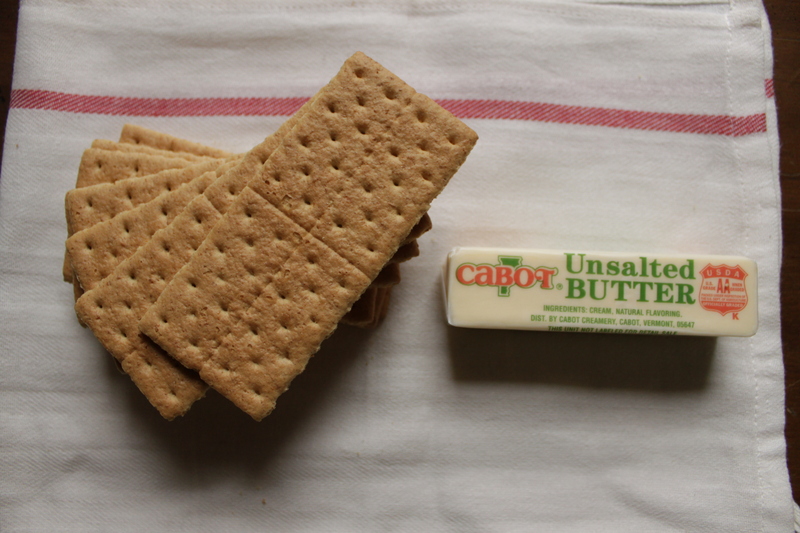 Crumble the graham crackers into the work bowl of a food processor and process until finely ground. Alternatively, you can put them in a bag and whack them with a rolling pin until finely crushed. 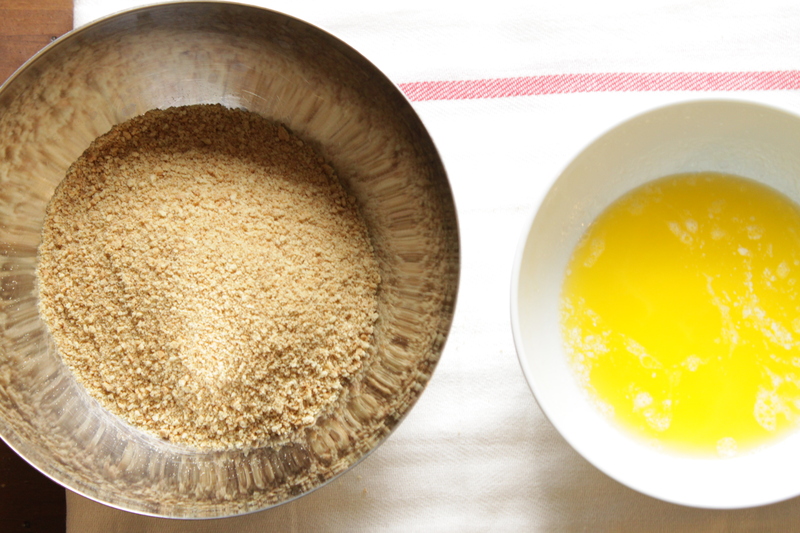 Pour the butter into the crumbs and mix (hands are best for this) until the butter is fully incorporated and the texture is that of wet sand. Firmly press the crumbs against the side of a 9 inch pie pan, then against the bottom of the pan (the underside of a measuring cup works well for smoothing the bottom crust). Chill the crust for at least 15 minutes to help prevent it from crumbling when serving. Bake the crust for 10 minutes, or until lightly browned. Remove it and allow to cool before filling. God bless and happy baking! 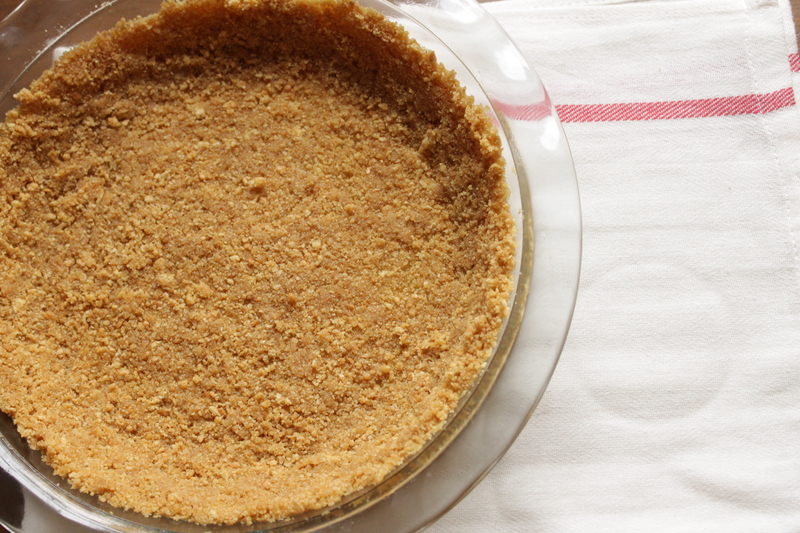 Not to blame the Baker, but the ginger snap crust might have given it the spice it needed. That said, I’m glad the boys liked it! I would really want to like this one as well, I don’t blame you for that! I was really thinking the same thing but as we are a family of ginger snap haters I figured against it. Wish I had compensated and added more ginger or maybe all spice to the filling.